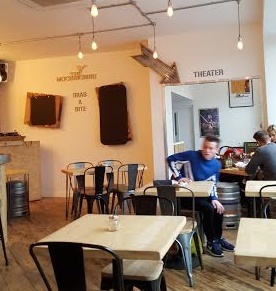 The theatre and bar is an excellent adding to Digbeth. It is also a perfect spot to watch a cult or classic film, enjoy a comedy night or a musical. Definitely a creative venue that fits perfectly at the Custard Factory. It is a shame to say that I have never been to Mockingbird since its opening in 2014. It was always there, on my way, but I never had the chance to stop by. The mistake is corrected now and I am glad it is still popular. The Return of Jedi was one of the films on screen that day, but we only had time to grab a table and get some food and drinks that afternoon. First impressions were that The Mockingbird is great for catching up with friends. The music in the background was the right volume, allowing people to chat without having to shout. Of course, this quiet ambience changes as soon as the night goes on (it is a very popular place on weekends) and I presume it's always packed. 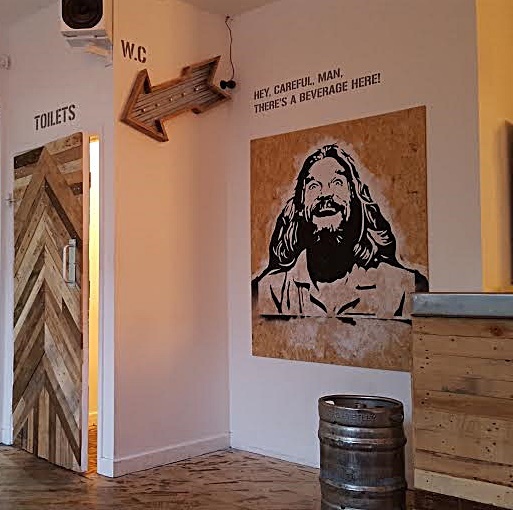 The selection of drinks is what to expect of a bar in Digbeth: varied and creative. A nice selection of craft beers is a bonus. 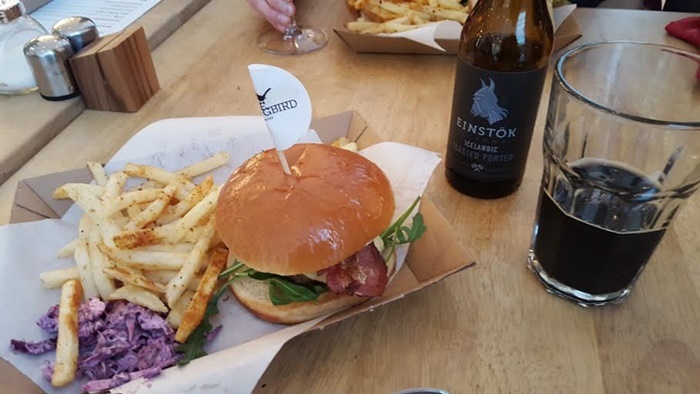 As soon as I have spotted my favourite stout, the Icelandic Einstok, and the Mockingbird burger (chunky beef patty, smoked bacon, swiss cheese, duck egg and avocado) on menu, my life was complete that day. Game over! Presentation was gorgeous and the spicy chips and beetroot salad were a nice accompaniment. Everything was delicious. I would take the risk to say their burger is one the list of nicest ones in town. And you know, Birmingham is becoming a reference in places with some quality patty burgers and Mockingbird does it right. I love its décor and I wouldn't change a bit of it. The concept is make it simple and enjoyable. Staff are friendly and it is impossible to not feel welcomed. I will definitely come back to the Mockingbird soon. But this time not to just to grab something to eat, but also to enjoy a cult film or a show that they bring weekly to Digbeth.